The Raging Elk Adventure Lodge has been established as an international travellers haven. They take pride in not just advertising unbelievable facilities but actually having them. Guests are offered lots of space, comfort and a memorable experience. It is also known as the Raging Elk Hostel, Fernie Hostel and Fernie Backpackers. The Raging Elk caters to the individual traveller and to large groups of friends, families and couples. It offers 4,000 square feet of large comfortable lounging areas. Amenities include fully-loaded kitchen, games room, entertainment room, theatre-style movie room, sauna, ski tuning and masseuse room, secure ski and bike storage, two large outdoor patios with epic mountain views, private outdoor garden area and fire pit, walking distance to local bars and restaurants, and 5 minutes to the Fernie Alpine Resort. The clean and comfortable, secure rooms include dorm rooms, private and semi-private and family rooms. The Kodiak Lounge is situated in the Adventure Lodge. 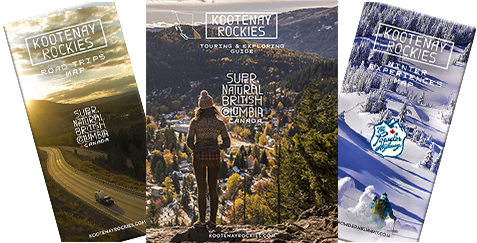 It operates from 4-11pm and specializes in apres ski, good times and live entertainment; it's a great place to meet other travellers and outdoor enthusiasts. Fernie is defined by the towering Rocky Mountains and the freestone clear water Elk River. River runners, powder hounds, bikers and wilderness aficionados love it here as outdoor opportunities are endless. In town, Fernie's architecture is a feast of 19th century brick and stonework. Wood was banned as a building material in the early-1900s after a fire leveled all but 23 of the town's buildings. An interpretive walking tour and a trip to the Historical Museum lends visitors insight on a community steeped in historical associations and mountain culture. Fernie's renowned 18-hole golf course is located in view of some spectacular mountain peaks and for a faster paced activity, mountain bike trails wind their way around town and up the mountain at the Fernie Alpine Bike Park. Fernie has some of the finest powder snow which many enjoy at the Resort, and with Fernie Wilderness and Island Lake Snowcat Ski operators. The Raging Elk Adventure Lodge. A warm & comfortable atmosphere.